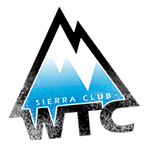 WTC currently offers classes in four different locations in the greater Los Angeles/Orange County area. Sign up now. Space is limited! Scroll down for location addresses. Held at the Calvary Church of Santa Ana, 1010 N. Tustin Avenue, Santa Ana, CA 92705. Please use the large parking lot on Wellington Avenue. Held at Franklin Elementary School, 527 W. Ventura Street, Altadena, CA 91001.